You provided the data... now we're making sense of it. Scroll through our list of reports to see how NACAS Research demonstrates the value of auxiliaries and how they enrich the lives of students on college campuses. Auxiliaries are commonly among the largest employers of students on college campuses. As the cost of living and education expenses rise, students across the country need jobs to pay the bills and support their academic studies. 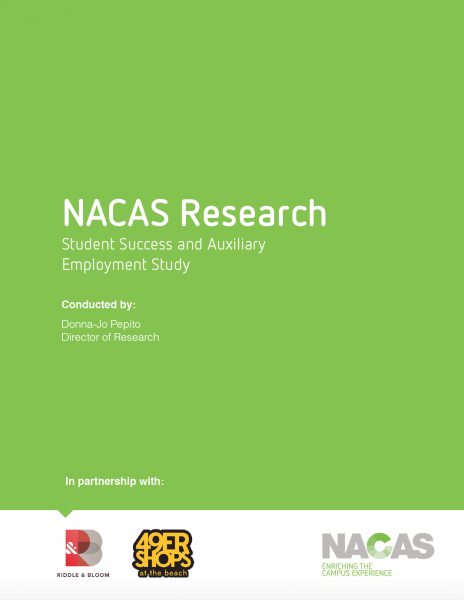 To explore what motivates today’s working college student and understand the potential impact that auxiliaries can have on the student experience through employment, NACAS Research conducted a national survey in partnership with Riddle & Bloom.